What a fantastic day our charity event Storm in a D-Cup was on the 27th of October, raising money for The New Zealand Breast Cancer Foundation! 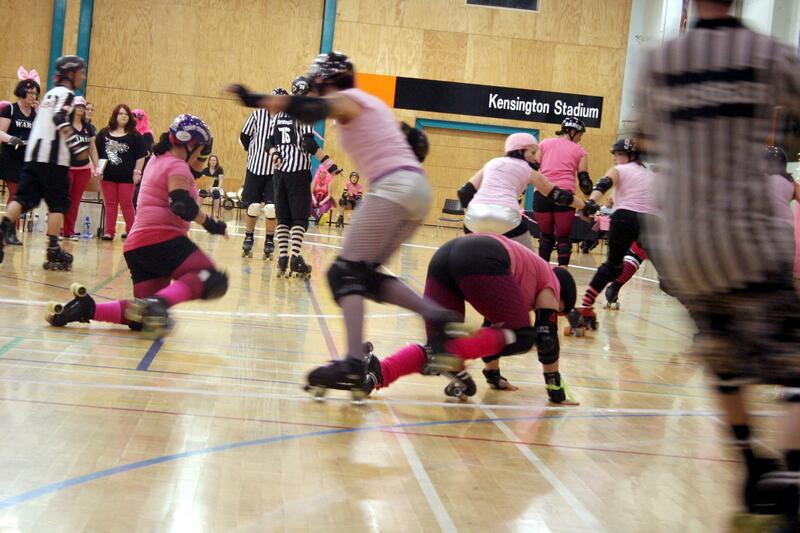 We decked ASB Kensington Stadium out in pink and our derby extravaganza opened with our Bratz team featuring the Bra Straps vs Boobie Busters, followed by a cherry-popping bout for our Freshies aka Team Training Bra vs Team AA Cup. 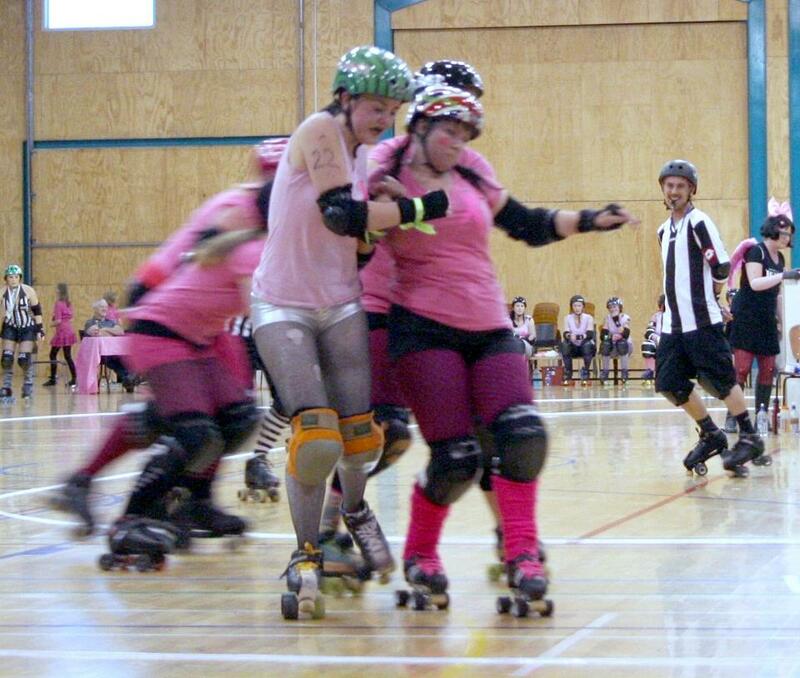 Then it was the main event, our finale starring our advanced players and special guests from Hibiscus Coast Rollers as teams Bazooka Bombers vs Rack Attack! It was an exciting, exhausting (for some!) and memorable day and we were very proud to raise money for this amazing cause. A HUGE thanks to our sponsors, those who made donations and as always to our refs, NSOs, volunteers, family and friends; we couldn’t of done it without ya! Now onto our next event, the Kamo Christmas Parade on the 24th of November! This entry was posted on November 8, 2012 by nnderby. It was filed under EVENTS! and was tagged with Breast cancer, Northland Nightmares, Northland Nightmares Derby Bratz, Northland Nightmares Roller Girls, Northland Nightmares Roller Girlz, the new zealand breast cancer foundation.